Completely swept away by The Robe as a child, I learned recently this popular 1953 film was based on a book. Besides, of course, The Bible without which it couldn't be written at all, the film was based on the best selling novel The Robe, written by Lloyd C. Douglas. The historical novel about the crucifixion of Christ was published in 1942 and quickly became the number one book on the New York Times Best Seller List. It remained in the number one spot for almost a year. The Robe tells the moving story of Marcellus, one of the tribunes charged with crucifying Christ, who wins Christ's robe in a dice game. His prize transforms him. 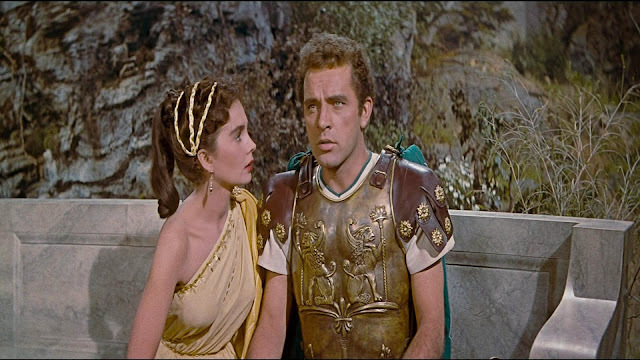 The film stars Victor Mature, Jean Simmons and Richard Burton who was nominated for Best Actor—Burton who was nominated seven times but never ever won. 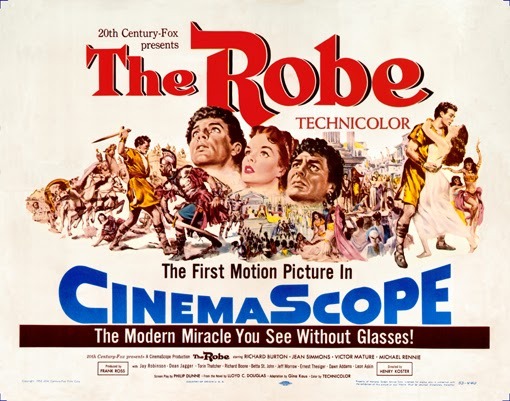 The Robe was also nominated for Best Picture as well receiving nominations for Cinematography, Art Direction and Costume Design. It won for the latter two. As a child I was mesmerized by The Robe, I suspect it wouldn't hold a ten year old's interest these days. It's available for instant download on Amazon Prime, Neflix and Hulu. Happy Easter. Not big on religious movies but my husband enjoyed watching one yesterday: Ten Commandments. Have a great week Sim. I've never even heard of this movie. I'll have to check it out. Happy Easter.